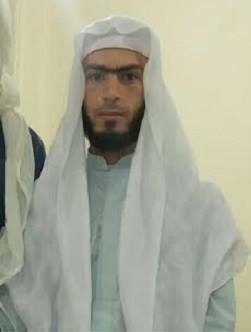 A Sunni student from Iran’s Ahwazi Arab minority who was studying at the Sunni religious institute ‘Darul Uloom Zahedan (in the Sistan-Balochestan province of Iran) was arrested by security forces last week. Saeed Zoheiri, who had converted from Shi’ism to Sunni Islam, was arrested by plain-clothed officers outside the religious institute in the city of Zahedan on 27 September 2014, before being forced into a waiting car and taken to an unknown location. There is no news about his condition or whereabouts. Saeed Zoheiri had traveled to the Sunni-majority city of Zahedan, along with his wife and son, in order to seek religious knowledge. He was in his eighth year of studies at the religious institute. Like most ethnic minorities living in Iran, the Ahwazi Arab minority, who mostly live in the south-west of Iran, have historically endured economic, political and cultural discrimination from the Iranian government. The Shia Iranian government has been alarmed by the rise of Sunni Islam among the Ahwazi Arabs in the traditionally Shia-majority Khuzestan province. 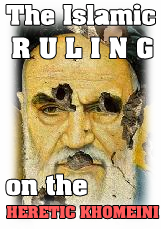 At least ten Sunni converts were arrested in Iran in July alone, with three arrested after openly preaching Sunni beliefs and a further seven arrested after holding congregational Sunni Taraweeh prayers. Earlier this year, nine Sunni men were arrested in Qal’eh Chan’an, Khuzestan province for ‘religious activism’ after converting to Sunni Islam. More than 20 Sunni converts were then arrested in February at a Qur’an and Arabic language study meeting in Koye Alawi (Hay al-Thawra district) in Ahwaz city. Numerous other Sunni converts have been arrested in the area since. This entry was posted in N E W S. Bookmark the permalink.